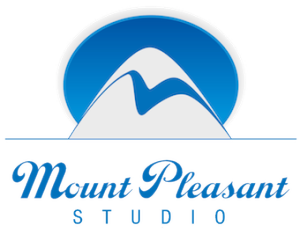 In these conditions the following expressions have the following meanings: “MPS” Mount Pleasant Studios Ltd. “the Customer” any person or firm or company dealing with MPS or any servant or employee of such a person firm or company. “Services” shall include all studio space or stage location facilities and the services of drivers and assistants and other personnel of MPS or of any sub-contractor of the Company. “Equipment” shall include all fixtures and vehicles lighting and other materials provided by MPS or by its nominated sub-contractors. “Studio” the premises of MPS for the time being where the services and equipment are provided. 1.The Customer must effect its own insurance cover against consequential loss of profit and other Risks and must effect its own cover against loss damage or theft of its own equipment brought onto the premises, equipment hired in by themselves and equipment owned by MPS or hired in by MPS from sub-contractors. All equipment must be covered by the insurance of the Customer for the entire period that it is at the premises of MPS, i.e. from the time it is delivered to the studio until it is collected by, or delivered to, the sub-contractor or Customer. Under no circumstances will MPS entertain any claims arising out of any failure of the Customer to effect its own insurance cover. 2.These Conditions constitute the entire contract and may not be varied otherwise than in writing signed by a duly authorised signatory on behalf of MPS. varied by MPS without notice. 4. Nothing in these Conditions is intended to exclude restrict or modify liability on the part of MPS resulting from negligence or otherwise unless permitted by Statute. 5. The customer must send to MPS, by mail, fax or e-mail, a copy of their production insurance certificate prior to the commencement of the booking. 1. Any confirmed bookings cancelled less than 10 working days prior to the commencement will be billed at the full rate plus any costs incurred by MPS by way of expenses. The Customer will receive credit against such cancellation charges if the Studio is re-booked to another customer. 2. Bookings may only be extended with the prior consent of MPS. 3.The Customer must observe all regulations governing the use of the Studio and of any Equipment and services whether imposed by MPS or by any statutory body or Local Authority. 4. The Studio is available for the exclusive use of the Customer named in the booking and the Customer is not permitted to sub-contract sub-let or otherwise permit any third party to utilise the Studio without the prior written consent of MPS. 6. Any materials used in connection with sets constructed by the Customer shall be forthwith removed from the Studio at the end of the hire period at the expense of the Customer. 7. No alterations decorations or additions to the Studio are permitted without the consent of MPS and at the end of the hire period the Studio must be surrendered in the same condition that it was in at the start of the hire period. Any costs incurred by MPS arising out of any breach of this Condition shall be paid by the Customer. 8. The Studio is supplied clean with a white painted cove if applicable at the start of the hire period and all the costs of painting repairing and maintaining this state are payable by the Customer. MPS must be notified by the Customer at the start of the hire period if any aspect of the condition or decoration of the Studio or the cove is unacceptable. If no such notification is given the Studio and cove and decoration will be determined to be of an acceptable standard for use by the Customer. Special painting requirements should be notified to the Studio Manager at least 24 hours in advance and the proposed requirement will be price quoted. 1. All Equipment and services are supplied by MPS entirely at the risk of the Customer. MPS shall not be liable for loss or damage of any kind to material or props or equipment entrusted to it however caused including consequential loss and loss of profit. 2. All Equipment supplied to the Customer is in good condition. The Customer must notify MPS at the time of supply if the condition of the Equipment is not acceptable. 3. In no circumstances shall MPS be liable for any transport cost or for any loss or damage including consequential loss or damage however caused arising out of the use or the inability to use the Equipment supplied or agreed to be supplied. 4. The Customer may not without the written consent of MPS: (i) Remove the equipment from the Studio premises; or (ii) modify or alter or tamper with the Equipment in any way; nor (iii) use the Equipment in a manner not recommended by the Manufacturer; nor (iv) allow or suffer the Equipment to be used by any untrained or unauthorised personnel; nor (v) part with possession sell pledge encumber or suffer any lien to be created on the Equipment. 5. Where at the request of the Customer MPS supplies to the Customer the services of a driver, assistant, sub-contractor, free-lance or other person such person shall be deemed to be the servant of the Customer and the said services shall be deemed to be rendered by the Customer and MPS shall not be liable for loss or damage of any kind however caused. 6. MPS shall not be liable for any loss or damage howsoever arising out of any statement advice instruction or any other representation given or made by any servant of MPS or any other person whose services are supplied to the Customer. 1. Unless otherwise agreed, new clients will be asked to pay 100% of the studio dry hire rate, settled in cash or via BACS or Paypal, before the commencement of the hire period, with lighting and additional cost invoiced after the shoot. For returning clients, unless otherwise agreed, 50% of the studio hire charges will be paid before the commencement of the hire period. The Customer must settle accounts within 30 days of the date of invoice. Prices may be varied without notice to the Customer. 2. Overdue accounts will accrue interest at 2% per month or part thereof. 3. The hire charge commences when the Studio and/or Equipment is made available to the Customer whichever is the earlier and terminates when the Studio and Equipment is surrendered or returned to MPS. MPS reserves the right to make an additional hourly labour charge to cover any costs incurred by MPS pursuant to condition 9 paragraph III above. 4. Any additional Equipment, services, staff or modifications to the Confirmation of Booking shall be billed to and paid for by the Customer. 5. At the end of the hire period the Customer may be charged at the discretion of MPS an additional rental where the Studio or any item of Equipment is delivered to or returned to MPS in a bad or damaged condition so as to preclude use or hire of the said Studio or Equipment. (b) any breakdown stoppage or failure of the facilities and Equipment provided in the Studio or any other Equipment supplied to the Customer by MPS. (c) any death or injury occasioned to any Customer or servant or agent of any Customer occasioned by the use of the Studio or any Equipment unless such death or injury is directly attributable to the negligence of MPS or the servants or agents of MPS. (d) for any fines and/legal costs incurred by MPS or the Customer for any activity connected with the hire of the Studio or Equipment. (e) any failure on the part of MPS to comply with its obligations to the Customer due to any circumstances beyond the control of MPS. The Customer shall at all times keep MPS indemnified against all actions proceedings costs charges claims expenses and demands whatsoever which may be made or brought against MPS or the servants or agents of MPS by any third party in respect of any alleged injury loss damage or expense arising out of or in connection with the use of the Studio or Equipment or services supplied by MPS even where such injury loss damage or expense is caused wholly or in part by the negligence or breach of contract of MPS its directors servants or agents save in respect of any death or personal injury caused by the negligence of MPS as aforesaid. (c) if the Customer shall be in breach of any of the terms of these Conditions and any such termination shall be without prejudice to any rights accrued to MPS against the Customer prior to the date of termination. These Conditions shall be read and construed in accordance with the Laws of England. Click here to download Terms & Conditions pdf.